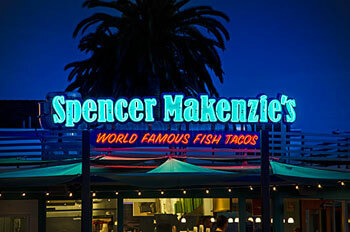 New and updated signs can give your business a fresh new look. However, what kind of signs should you choose and even more importantly, which company should you go with? You’ll receive a number of important benefits when you hire a national sign company like Dave’s Signs, and here are just a few to consider. Once you contact Dave’s Signs, your job is basically done because we take care of the rest. Our sign experts work closely with you or your staff to give you everything you need in a sign. Do you have ten, twenty locations, or more, in Southern California? When you go with a national sign company, you can be assured your signs are a custom fit and every sign will have the same basic theme. However, each location can have signs custom made for their area. When you have a large sign project you may need to hire several professional services. For example, you’ll require a design firm experienced in signage, advertising, and promotions. You also need a sign company and perhaps several other subcontractors for the job. This is not necessary when you hire Dave’s Signs. We take care of all these services and this can save you a lot of time and headaches with coordination. Plus, it could lower your overall cost substantially when you go with one company for all these services. Maybe you are remodeling or want to improve your overall appearance. This is a good time to install new interior as well as exterior signage. Your sign professionals at Dave’s Signs can give you impressive indoor signage which can attract more customers and create a more comfortable work environment for your business. Do you need custom made neon signs? Dave’s Signs can create the perfect neon signs for your business, in-house. This craft has been around for more than a century and it still takes talented craftsman to design, produce, and install neon signs. A national sign company provides service you can trust. Dave’s Signs can handle every aspect of your sign needs and we make sure everything is done to meet local building codes and your expectations. Click here to ask a question or request a quote today.